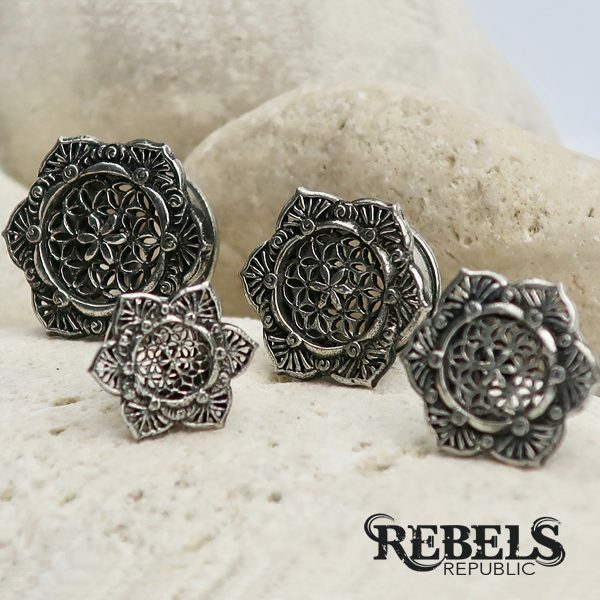 Lotus Geometric brass plug with delicate intricate detail in an ornate flower design, ethically handcrafted with love. Available in White Brass. Various sizes in stock. This is a classic mandala style with a boho twist.